Brazil is known for many things. Soccer, of course, and its team is keeping its end up, having advanced to the final 8 in the World Cup. Another famed thing is its casual dress code. 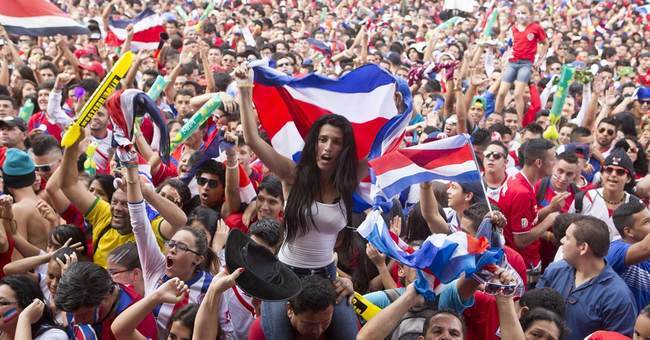 The lack of a dress code extends to the World Cup soccer stadia, as well. Fans come wearing crazy costumes, flag-themed pants and, for the less adventurous, replica team jerseys. Which just makes it all the more surprising that, when the camera pans to the team managers (which Americans would call coaches) they seem always to be clad in a shirt and tie. This isn’t especially unusual to American sports fans, though. Coaches on the sidelines are among the final people in any arena to be spotted wearing suits. Consider college basketball, the sport in which the players earn nothing but the coaches become millionaires. As the coach at Iowa in the mid-1980s, George Raveling was known for wearing sweat suits to games, so he could actually go out on court and shoot with his players. But his approach didn’t catch on. Raveling was replaced with a more conventionally dressed coach in 1987, and Tom Davis immediately went 30-5. Wearing a suit and tie all the way. 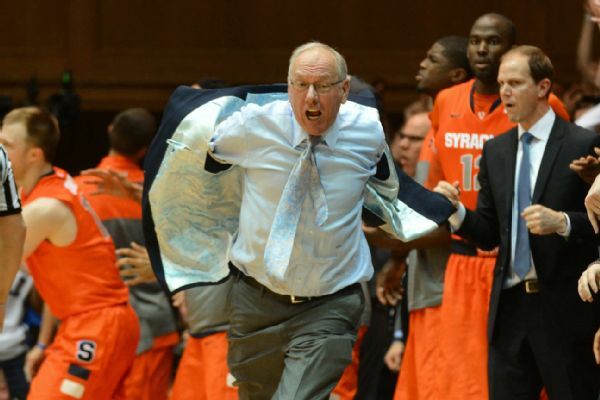 This past year Syracuse basketball coach Jim Boeheim became famous for his sport coat. Or at least the fact he couldn’t seem to get out of it. He flipped out while protesting a foul call at Duke and was thrown out of the game. At the end of the year, he auctioned off the blazer for $14,000 to benefit cancer research. Rest assured the fan who bought it won’t be wearing it to any games next winter. Few fans do, of course. Scan the bench at an NCAA game and it’s suits as far as the eye can see. Every team seems to have eight coaches. But scan the stands behind them and almost nobody is dressed to impress. But sporting events aren’t the only place where men still sport suits. 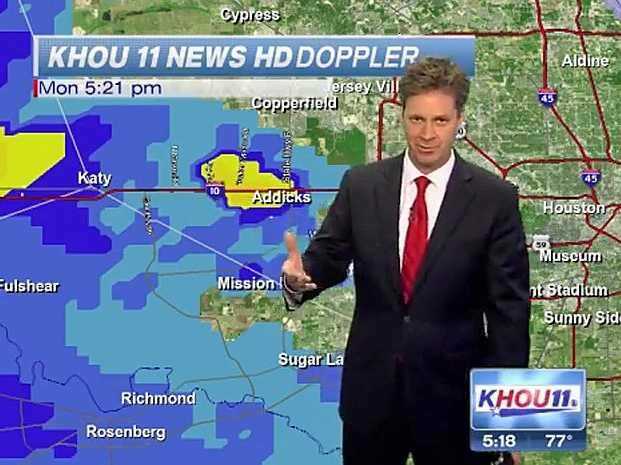 It seems male meteorologists won’t make any predictions unless they’re wearing a tie. From the National Hurricane Center to the weather wall at your local affiliate, meteorologists deliver their (usually bad) news in full dress-up mode. Even when called in on weekends to track storms, they bring the full wardrobe with them. It just wouldn’t be right, apparently, to call for three inches of snow without donning a business suit. It was a generation ago that casual Friday swept American offices. Over time, that evolved into casual every day, with business casual on the agenda in most companies. It’s ironic that sports remains a holdout against this casual trend; coaches would no doubt be more comfortable without the ties and loafers. Maybe some manager will doff his tie this month in Brazil and set a new fashion trend. Let’s just hope he doesn’t completely go native and show up wearing a bikini.